A German made “Ox-Head” draw knife. 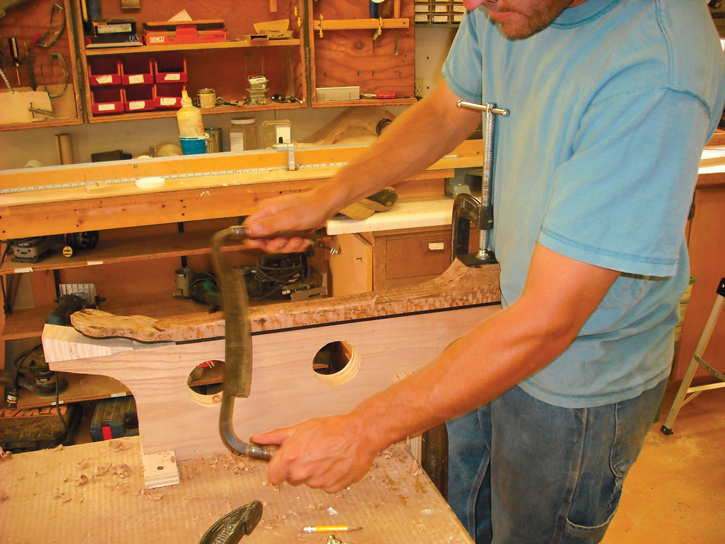 Carving the banjo neck is my favorite part of building a banjo. I use a drawknife for shaping along the length of the banjo neck and chisels for roughing out the shape of the heel and fifth peg area. Always keep carving and shaping tools sharp. Dull tools can easily tear out big chunks of material by accident, this is especially true when working with figured woods like curly or birds-eye maple. Always work with the grain of the wood. 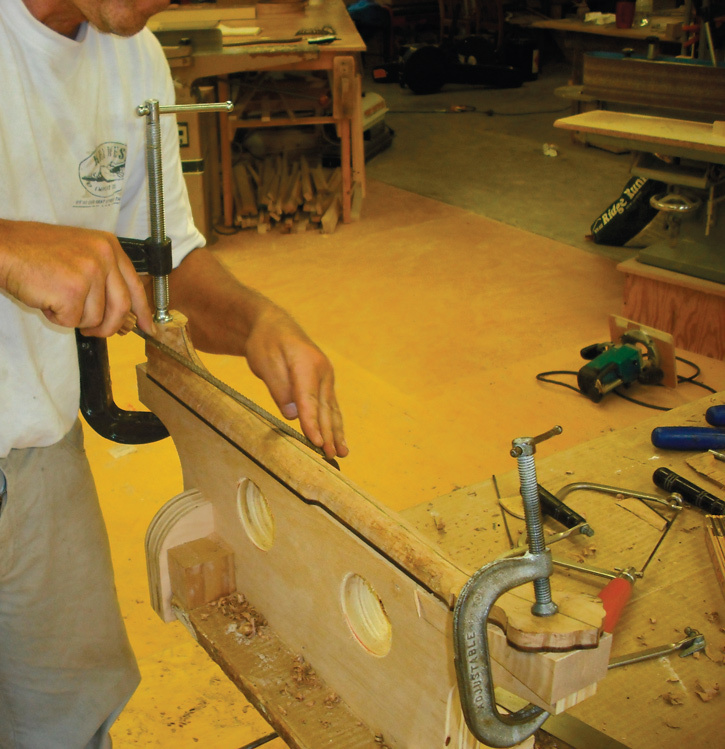 A cradle like the one shown in the pictures makes holding the banjo neck easier. A padded vice works well too. 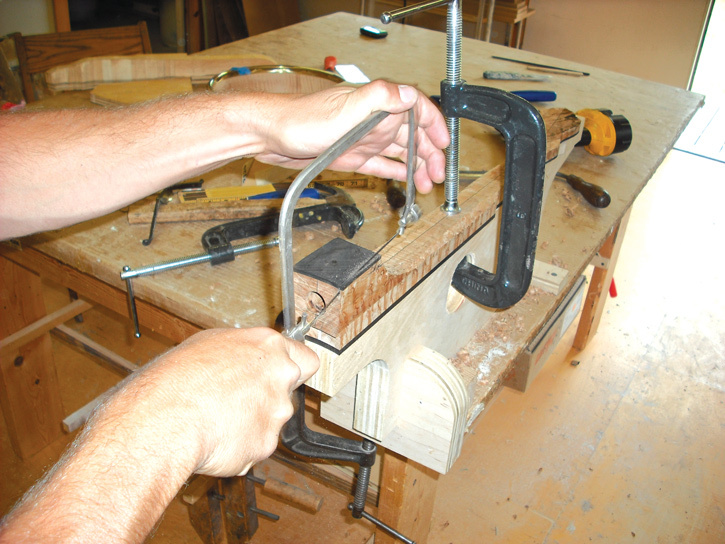 On some occasions I have also used a porch rail and a few clamps to act as a “shaving horse”. After the basic shape of the neck is achieved I switch to the rasp and file for final shaping. The area where the fifth string bumps out from the rest of the neck is an opportunity for carving some personal embellishment. Roughing out the neck heel with the coping saw. 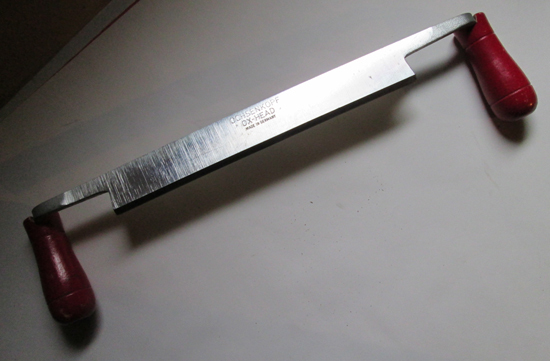 Final shaping with the rasp and file.